This one is based on a true story. A couple of weeks ago, I was trying to build a cabinet-thingie that we'd purchased over the internet that came in a big box and required some assembly. I spent a couple of hours in complete frustration as I attempted follow the instructions in putting the thing together. 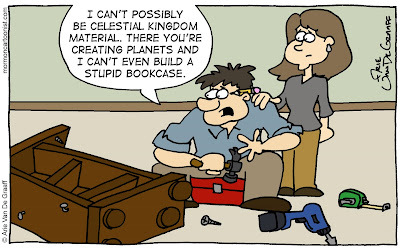 It was in the midst of some dark thoughts about the furniture, my skills as a carpenter, and the universe in general; that I came up with this gag. And, suddenly, my struggles were worth it. And it wasn't until my wife helped me with the cabinet that we were able to finish it. Encouraging me that maybe I could make it to the Celestial Kingdom (but I couldn't make it there alone). I'm just impressed that those were the only thoughts in your head. 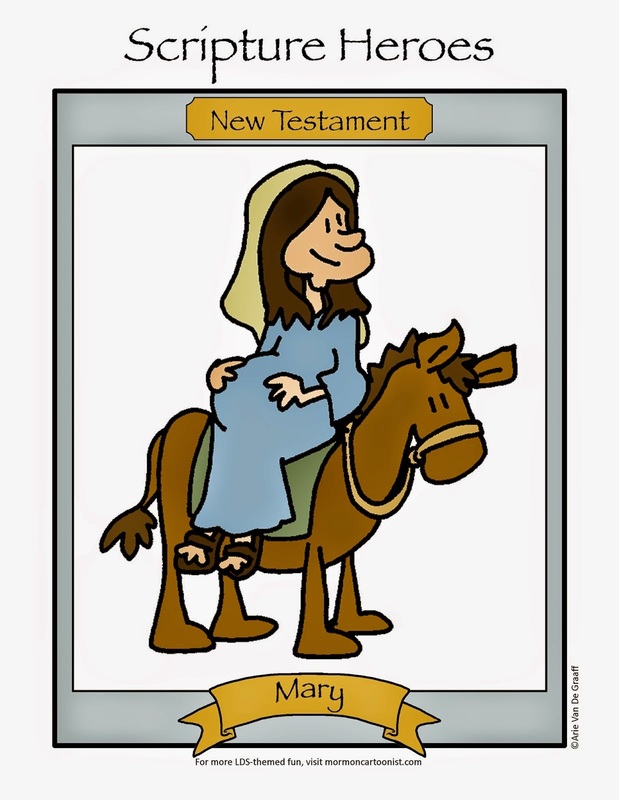 My thoughts after 2 hours would have been much more colorful and not appropriate for a mormon cartoonist's blog. I agree with Jena. I read your commentary before I read the actual cartoon and I was surprised to see no "friggin" or "heck" or "fetch." I'm impressed that in all this time, this is the first time that "questionable doctrine" came up as a tag. I thought this would have made an appearance by now. But I certainly hope it's not the last because it makes for comedic gold. Don't you just hate it when your personal life shows up in your cartoons? Okay, this made me laugh (out loud)! So funny - hit the nose right on the head. :) Great job.